Hiya folks! Bring out the testing ninja that is hiding within you as today we are going to set up the environment for JUnit framework. 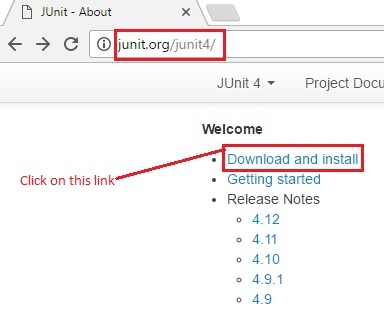 Go to, http://junit.org/junit4/ and click on ‘Download and Install’ link. You will be redirected to GitHub. Under ‘Plain-old JAR’, junit and hamcrest-core jars will be available. 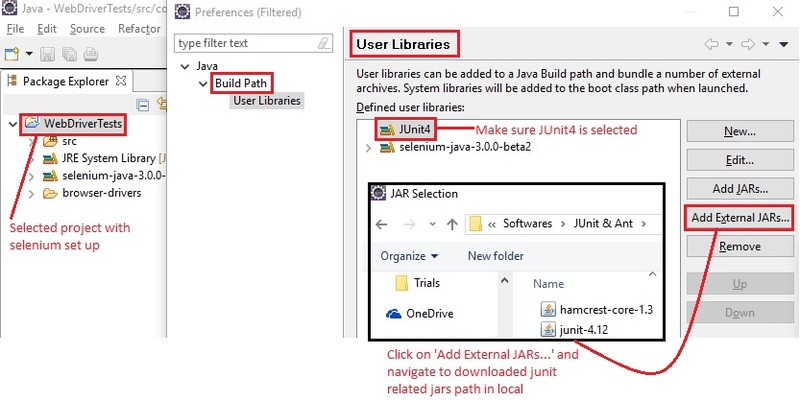 Clicking on ‘junit.jar’ will redirect you to a page with download links. Click on the latest version ‘jar’ link (v4.12 at the time of writing this post). It will be automatically downloaded to your system. Next, click on ‘hamcrest-core.jar’. Similar to the above point, click on the latest available ‘jar’ download link (v1.3 as of the day this post is taking its form). Both the required jars are thus downloaded to your system now. Next job is to add these two jars to our project in eclipse IDE. The process is very similar to what we followed in the post, “9b. Setting up WebDriver (In Eclipse)”. Please refer that for step by step instructions along with screenshots. Open Eclipse IDE and navigate to the corresponding workspace. With that, the environment for JUnit 4 is all set! 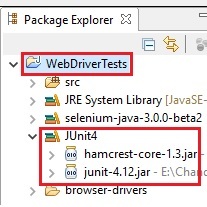 In our next post let us write WebDriver tests in JUnit framework and execute them to see the results.